As people are returning from summer and attention is beginning to focus on the upcoming school year there seems to be enthusiasm over the normal year that is ahead. I have been hearing it from staff and parents. People say, “you must be glad to finally have a normal year” or “finally it will be a normal start-up”. I know what people mean. Given the labour dispute that carried on into last fall, and the seeming treadmill of the last five years which has seen us in a cycle of potential job action, job action, post job action – repeat – it is nice this is not sucking up all the oxygen in BC education again this year. But normal is an interesting word. The more I hear it, the less I like it. For me normal feels boring. Normal is about average. And our schools are about the exceptional. More than ever we want to support our students and teachers to be anything but normal. We want to tap into the passions of our artists, athletes, entrepreneurs, scientists and engineers in our classrooms. So let’s have a year where we have conversations about curriculum for our modern world and assessment that makes a difference for learning. Let’s have a year where we focus on excellence and equity. Let’s have a year where we teach and learn about residential schools, gender identity and our natural world. Let’s embrace all the young people that will enter our classes the Tuesday after Labour Day – who each have their own story and their own struggles and challenges. And as they try to fit in, we need to remind them that normal is overrated. And as the adults that have amazing opportunity to work with students, let’s commit to being better versions of ourselves this year. But when we look to this year – let’s not let it be normal. This post is a duplicate of the article in the AASA – August 2015 School Administrator Magazine. The entire issue (here) is dedicated to topics related to high school sports. His first reported concussion happened in youth soccer. His second came in high school football. A possible third head injury may have happened in pro football training camp. But when a rookie 24-year-old linebacker with the San Francisco 49ers, Chris Borland, decided to retire from the NFL in March, not due to injury but rather to prevent injury, the sports world uttered a collective gasp. More than ever, superintendents are being drawn into controversies around interscholastic sports. In just the past few months, news media have reported on a superintendent who resigned following the contentious termination of a varsity basketball coach; several superintendents drawn into student-athlete disciplinary cases over alleged hazing; a superintendent challenged by her community after she disciplined a football coach for an offensive sideline tirade; a superintendent who cancelled games against another school over the rival team’s “Redskins” nickname in support of his own school’s Native American population; and several superintendents caught in the middle of school board budget debates around financial support for school athletics. Sports and schools have been interconnected for generations. Yet the rising tide of serious challenges is raising new questions about the sustainability of interscholastic sports programs. These deal with student-athlete health risks, competitive pressures from a social media-fueled public and tough questioning around the educational value of school-based programs when public revenues are stressed. Jointly, or in isolation, these pressures could lead to a scaling back, if not disappearance, of some school sports in the coming years. To an outside observer, it seems as if high school sports never have been more popular. Varsity sports are big business, with communities investing in football and basketball facilities and major sports news outlets like Bleacher Report and ESPN giving high school athletics expansive coverage. Beyond widespread media attention, several other factors support the notion that school sports will continue to thrive. Communities have a rich history of school sports, and nostalgia runs deep in our schools, notably in smaller communities whose sole identity these days may be tied to their public schools. Adults often romanticize their own school sports experiences — from cheering on the football team to scoring the winning goal in a soccer match or a buzzer beater in basketball. Superintendents recognize the considerable pride that comes to a school and a community when a sports team wins a regional or state championship. Movies such as Hoosiers and Rudy continue to inspire us. And unlike in other countries, where sports facilities used by pre-collegiate students typically are not located on a school campus, gymnasiums in North America generally are an integral part of school campuses. Given the physical connection, it makes logical sense that sports such as basketball, volleyball and wrestling will continue to remain within the school domain. The challenges I see school system leaders confronting in interscholastic sports fall into three categories. Athlete safety. Coaches and school leaders always will assert that students’ safety comes first in scholastic sports participation. But grim evidence from expanding medical research on the long-term effects of sports-related concussions indicates that brain trauma can cause permanent cognitive impairment, memory loss, depression, dementia and chronic traumatic encephalopathy, which can lead to erratic behavior and suicide. We’re learning that it’s not just the bone-crunching body hits in football that cause injury. Successive sub-concussive blows, even in sports such as soccer, rugby, lacrosse and ice hockey, can cause as much or more brain damage. The recovery time can be longer for children and adolescents. Notably, the majority of injuries occur during practices, not in interscholastic competition. A recent study published in the journal JAMA Pediatrics indicated 58 percent of reported concussions in high school football occurred in practice sessions. Other serious student safety challenges include physical harassment, sexual abuse and the ugly ritual of team hazing. These issues are forcing superintendents, like one last fall at a high school in New Jersey, to take serious measures — in that case, cancelling the school’s varsity football season in response to a hazing incident. Community and public reaction to the cancellation was mixed and only proves to demonstrate how difficult it will be to make changes to the nation’s most popular sport. Blurring lines between school and community sports. Beyond health and safety concerns, sports themselves are changing. Basketball, volleyball and soccer, for instance, used to be school-based sports primarily. Now, it seems as if the school season is just preparing young athletes for the extended club season. The Amateur Athletics Union basketball circuits across the continent have youngsters playing dozens of games, even sometimes more than 100, during the “off season.” Colleges use the AAU programs as the go-to source for recruiting athletes, meaning parents no longer see school sports as the pathway to university athletics. Coaching and profit motives in some community programs have professionalized youth sports and raised questions about where school-based sports fit into this new world. In the community, athletes can freely move between programs in a “free agent” environment, and coaches and sports programs can be talent collectors, while public schools hold to academic and residential eligibility rules that limit movement. High school sports once were neatly organized into seasons that more or less matched the terms of the school year. Students could run cross country in the fall, play basketball in the winter and participate in baseball or softball in the spring. Over the last couple of decades, youngsters have been pushed into a 12-month calendar. This poses a challenge for schools that try to encourage students to play multiple sports at the same time non-school-based sports programs are stressing specialization. The place of sports in school. One historical advantage for school sports over those in the community has been the cost of participation. In most school districts, there is no pay-to-play measure. This has changed in recent years. As school district budgets tighten, superintendents and school boards are faced with choosing whether to prioritize athletics or core classroom services. We also are seeing the need to redirect revenue sources once targeted for athletics, such as those generated by campus vending machines and gym rental use, to support the overall operating district budget. I am faced regularly with turning down requests to financially support school sports in my district as teams rely on user fees and parent fundraising more than ever to cover costs. While competitive sports in secondary schools engage small numbers of participants, we realize we need to find ways for all students to be active to support their physical and academic health. Given the alarming rate of youth obesity, there are concerted efforts to focus on sports that promote inclusive participation and lifelong fitness. Classes in yoga, dance and personal fitness are becoming more common in high schools and our physical education classes have decreased their attention to competitive sports while increasing their focus on lifelong fitness. Finally, the increased emphasis on global academic competition in education challenges the place of high school sports in the future. When our nations are competing with Finland and Singapore on the international stage and the stakes for our students are rising, competitive school sports can be seen as a distraction. Do we want our great math teachers spending their nights preparing lessons or coaching basketball? (OK, the answer is probably both!) As the expectations ratchet up for educators in the classroom, it is harder to see where commitments to competitive athletics fit into the new definition of a teacher. This conversation really challenges me. I have coached varsity-level sports, I’ve been president of the High School Basketball Association, and I’ve seen the amazing and continuous benefits of school sports on the lives of young people. I would far rather be the superintendent cheering on the championship team than overseeing the demise of these programs — which is precisely why we need to take a serious look at competitive sports in schools moving forward. At their core, our schools are about nurturing the brain. As I wrote in my response to the parent’s e-mail with his warning from “Iron Mike,” we need to play close attention to the evolving science of brain injury and take student safety seriously. But let’s evolve our sports rather than eliminate them. Football needs to be different because we know better than to continue to allow head contact in the game. The heads-up tackling initiative is a step forward. Helmet-mounted impact sensors may be another. Within the next few years, concussion management training for coaches and conservative “return to play” guidelines must be standard protocol. We need to look at whether some sports are managed better in the community and, if so, perhaps we should stop offering them in schools. 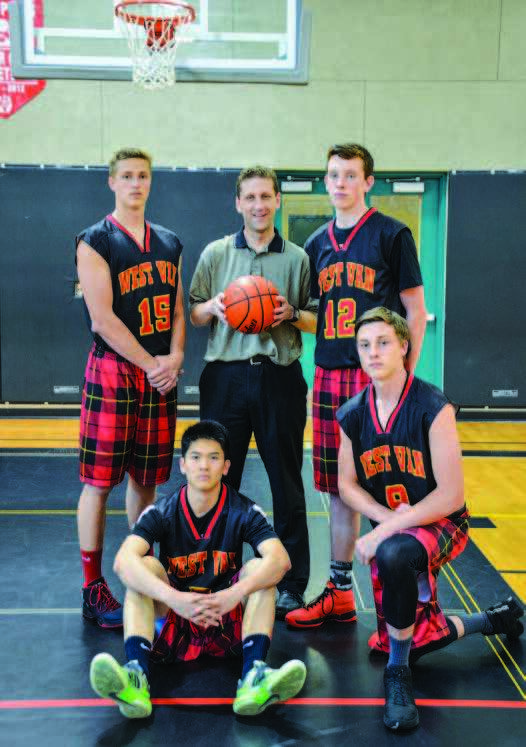 In British Columbia, we offer 17 different sports for boys and girls through our schools. Working with a mix of for-profit and not-for-profit groups, all those involved in sports need to jointly support high school student-athletes and not be in perpetual competition with one another. For me, hearing community members tell “Friday Night Lights” tales of the past offers wonderful nostalgia and history, but it is not instructive about where we need to go next. Superintendents and other forward-looking system leaders must begin to envision competitive school sports for 2035, not 1955. The challenges individually are not insurmountable, but collectively they are a daunting set of factors. While I am convinced we could do nothing and school sports would continue for a while; looking 20 years out, like many other aspects of schooling, they may have to evolve.